When you think about women who have failed or faced some major obstacles in their careers, who do you think of? Certainly not names like Oprah, Vera Wang, J.K. Rowling, and our very own Shannon Miller? Well its true. 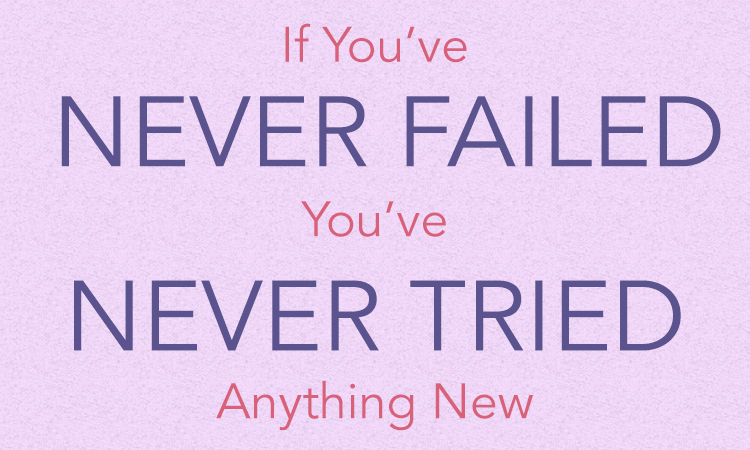 So many of the famous names we know today began their careers with some big failures and/or major setbacks. Yet, they overcame those setbacks and pushed forward to reach their goals. 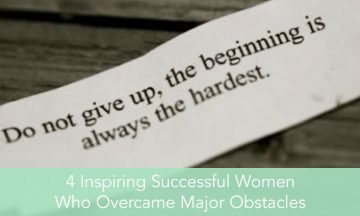 These are just a few examples of women who have overcome great obstacles in life, but they all have one thing in common: a fire inside of them that perseveres against any setbacks. These women have kept their goals as their priority and have become an inspiration to women all over the world. Looking at Oprah today, you would never know that she was born to a single mother and grew up in extreme poverty. Her start to life was rough and she was constantly passed back and forth between her mother and grandmother to raise her. She has also shared that she was sexually abused from a young age. Before her rise to fame on her daytime talk show, Oprah started out as a television reporter. She was fired from one of her early jobs because producers thought she was “unfit for TV.” Yet, she persevered and after a few years she landed what would become The Oprah Winfrey Show, one of the most successful daytime talk shows in history. She rose to the top of an industry dominated by white males and was the first black woman billionaire in history. She is quite the extreme of a rags-to-riches story, but she has done it with hard work and constant perseverance. It might be surprising to know that the iconic fashion designer was once a talented figure skater, who competed professionally throughout her teens. However, when she failed to make the US Olympic team in 1968, she hung up her skates and traded them in for a position at Vogue. She held a position as senior editor for nearly 15 years, but left after being passed over the editor-in-chief position in favor of Anna Wintour. She went on to work for Ralph Lauren and learn from his expertise before heading out on her own. While preparing for her own wedding in 1989, she discovered the lack of options in the market of bridal couture. She sketched a design and commissioned a dressmaker to tailor the gown for $10,000, and the rest is history. She has become an iconic name in the world of wedding dresses and has designed wedding dresses for several celebrities including Victoria Beckham, Jennifer Lopez, Alicia Keys, Mariah Carey, Jennifer Garner, Chelsea Clinton, and Hilary Duff amongst many others. And with estimated sales of over $700 million in 2011, she is far from a failure any more. The woman behind the popular Harry Potter series was a single mother living on welfare when she wrote the first book of the series. She was rejected by 12 different publishers before selling her book for a measly $4000. The work was an international hit and Rowling went on to write 6 more books for the series, which sold into the hundreds of millions of dollars, and was adapted into a huge blockbuster film franchise. Rowling is now the 13th wealthiest person in Britain, even wealthier than the Queen. Although she has said that she does not plan to write any more books to add to the Harry Potter series, she has written a few short stories and is working on a Harry Potter-related book. And of course we can’t leave out our beloved, Shannon Miller. If you are here, you a probably familiar with her many successes in gymnastics, but you may not know that her first Olympic competition almost didn’t happen because of a major setback. When she was training for the 1992 Olympic trials she dislocated and broke her elbow in a bad landing off of the uneven bars. She underwent emergency surgery and a screw was inserted in her elbow. Though she was not able to compete in the optional portion of the US nationals that year, she was healthy enough to compete in the compulsories and took home first place. She then went on to compete in the Olympic trials, again finishing first in both the compulsories and optionals, earning herself a spot on the 1992 Olympic team. To this day Shannon says that moment was one of the most difficult circumstances in her journey to becoming an Olympian and that it was a turning point in her career. She had to decide to give up or fight through. She chose to fight. Shannon is truly an inspiration to us all and has chosen to fight through the multiple obstacles she has faced in her gymnastics career and her battle with ovarian cancer in 2011.